Want to do something creative today? Purchase any one of our craft packets and let us help you find your inner creativity. Looking for a unique gift? 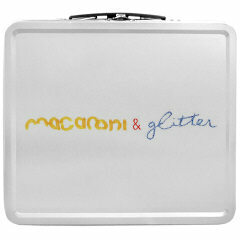 Contact us about macaroni & glitter gift items at shop@macaroniandglitter.com. Our Craft Packets are designed to bring out your creativity. We've stopped shipping our Halloween packets. Sign up here to receive more information about our Thanksgiving and Holiday packets. Still need ideas for Halloween? Read our recent articles in The San Francisco Chronicle and The Contra Costa Times. Our gift items and craft packets are shipped via USPS mail. 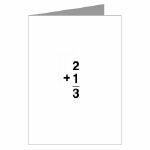 Gift wrapping is also available. 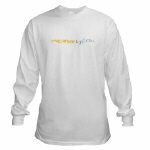 Visit our Cafe Press Store at www.cafepress.com/macandglitter to purchase macaroni & glitter clothing and other items. cotton tee. Our retro lunch box - perfect for your noon meal or crafting supplies. Announce the newest addition to your family.